School of about 245 students located in Cariari, Heredia. Classes are taught in English and the school follows the United States calendar and a United States curriculum. English as a second language (ESL) and Spanish as a second language (SSL) are both offered at no additional fee. What distinguishes AIS from other international schools is its family-oriented environment, student to teacher ratio of 12:1, and acceptance of all siblings including those with special needs. Two diplomas are offered at AIS, the National Baccalaureate and the United States Diploma. School of about 700 students located in Escazu. Classes are taught in English, and Spanish is offered at an additional fee with private tutors. What distinguishes Blue Valley from other international schools is that they run on both the Costa Rican and the United States calendar. This school offers the IB (International Baccalaureate) and the MEP (National Baccalaureate) but does not offer the United States Diploma. School of 900 students is located in Rohrmoser and operates on the Costa Rican calendar. Classes are taught in English, however, ESL and SSL are offered only at the primary level. Eighty-five percent of the student body is native Costa Ricans while the remaining 15% consists of 21 different nationalities that includes British, Canadian, US and other European nationals. What distinguishes the British School, is the International Primary Curriculum, the International Certificate of Education, and the (IB) International Baccalaureate. School of 800 students located in the hills of Escazu, which operates on the United States calendar with a United States curriculum. All classes are in English, except for Spanish. A minimum level of English is required for admission, however 100% proficiency is not required. ESL (English as a second language) is offered. 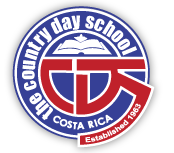 CDS also has a branch in Guanacaste. See below. CDS offers the National Baccalaureate as well as the United States Diploma. A branch of the Country Day School, this campus offers a similar curriculum. All subjects are taught in English except Spanish. School of 300 students located in San Pablo de Heredia follows its own calendar from late July to late June, breaking every nine to ten weeks for short vacations. Classes are taught in English only, and if you are not fluent in English you will not be accepted in this school. Students that do not speak Spanish require additional tutoring supplements ($) to the regular curriculum. In other words, students should be bilingual when entering this school or be prepared to pay additional fees for tutoring. Both the IB (International Baccalaureate) and the National Baccalaureate are offered at the European School. A small, bi-lingual, independent private day school which caters to a wide range of students and offers the option of a US accreditation for grade completion. They are based in the beach-side community of Playas del Coco in Guanacaste. Located in Rohrmoser with approximately 750 students. Classes are taught in German, English and Spanish. If you are not of German decent, you will not be accepted into this school. Located in San Miguel, Santo Domingo de Heredia. Operates on the United States calendar year with a United States curriculum. With 600 students, ICS is a multi-national school teaching in English. What distinguishes this school from others is that it promotes the active lordship of Jesus Christ in all respects of life with Bible classes being a part of the curriculum. ICS has both ESL and SSL program, and offers both the National Baccalaureate and the United States Diploma. Largest private school in Costa Rica with 1100 children enrolled, located in Santo Domingo, Heredia, Costa Rica outside of San Jose. Classes are taught in English following the United States curriculum and United States calendar. ESL & SSL are offered in addition to the regular schedule. 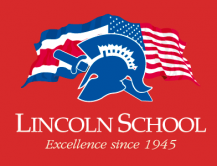 What distinguishes Lincoln from other schools is that it offers all three diplomas, the International Baccalaureate, National Baccalaureate, and the United States Diploma. School of 200 students located in San Ramon de Trios, between San Jose and Cartago. This school offers a United States and Costa Rican based curriculum following the United States schedule. Classes are taught in English however ESL and SSL are taught for those that are not at the same level of the other children. Marian Baker offers both the National Baccalaureate and the United States Diploma. Preschool: Nursery, Pre Kinder, Kinder, and Prep. Elementary: First to Sixth grade. High School: Seventh to Eleventh grade. School of 600 students located in San Antonio de Belen, and operates on a Costa Rica calendar with a Costa Rica Curriculum. Classes are taught in English and in Spanish. This is the only school on the list that doesn’t go to the 12th grade. Classes go to the 11th grade finishing with National Baccalaureate. This school is very popular in the Central Valley because of the excellent education that is offered. Monteverde, Costa Rica K-12Nestled in the cloud forest community of Monteverde, Costa Rica, the Monteverde Friends School was founded over 50 years ago by Quakers who left the United States in search of a country and community that supported their peaceful principles. Today, the school continues to promote the universal values of peace, love and respect in the context of a challenging bilingual education and a sense of community. The Cloud Forest School, locally known as the Centro de Educación Creativa, is a bilingual school located in the tropical cloud forest of Monteverde, Costa Rica. Founded in 1991 to increase educational opportunities for a growing population of school-age children in the area, this independent school offers creative, experiential instruction to over 200 students with an emphasis on integrating environmental education into all aspects of the school. Address: Escazú Guachipelín 1km al norte de Construplaza contiguo a vivero habitat.